This green silk end was intended to be the ending of a sash that would have been worn by a Straits Chinese groom, in one of the Straits Settlements. It is double sided and embroidered in fine ‘Pekinese’ knot stitching and couched in coloured silk threads. 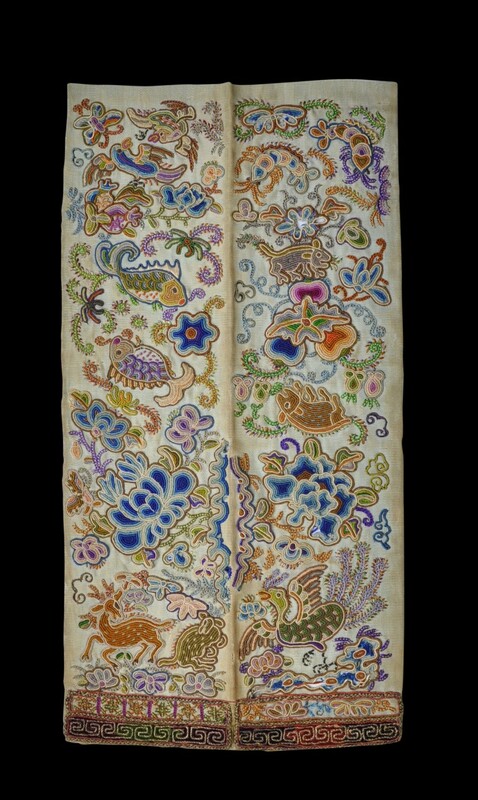 The designs, which are different on each side, are an almost seemingly random assortment of auspicious creatures such as butterflies, fish, shrimps, and phoenixes and flowers, busy and eclectic in typically nonya fashion. Whimsically, one of the creatures included is a kangaroo! 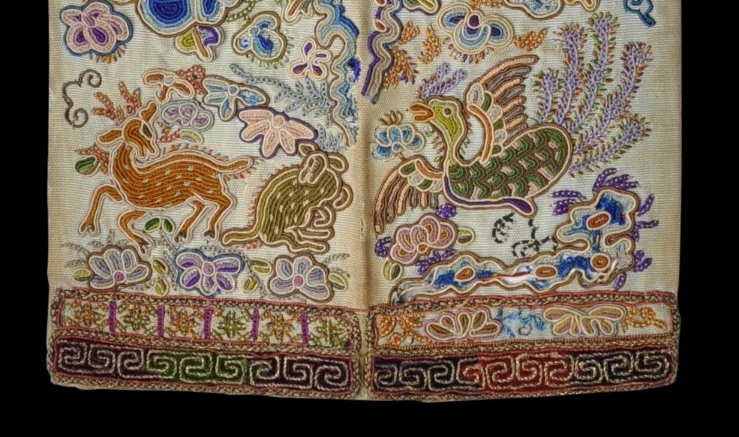 Cheah (2017, p. 129) illustrates a related example of a sash from Singapore’s National Museum. Ho (1987, p. 97) illustrates another example. 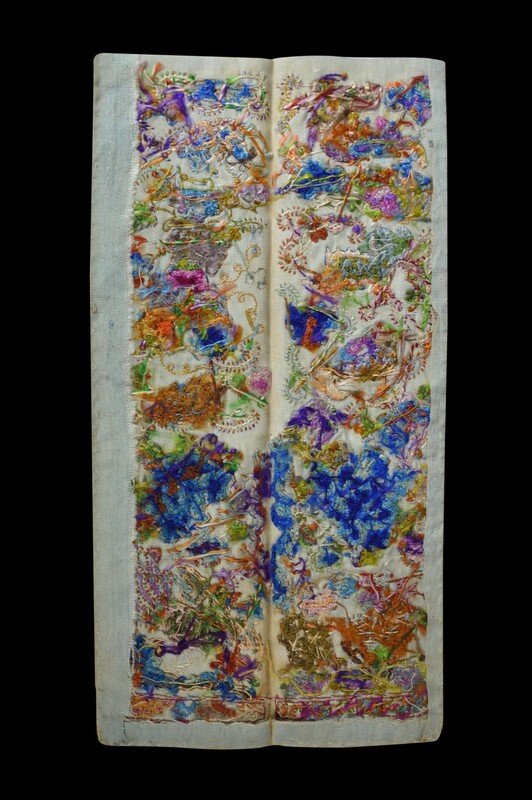 The example here is in fine condition – there is some deterioration to the silk and some light fading. Straits grooms’ sashes are rarely encountered.